This is great! A mix up book with lots of different combinations. I would definitely love to read this book, it looks amazing. I also like how animals have been mixed up with food! 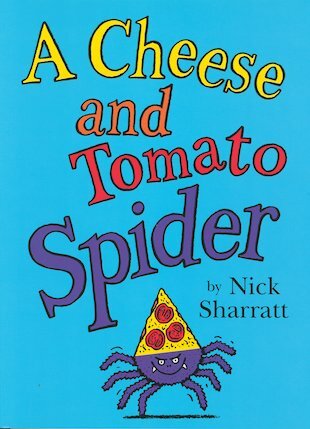 This book was soooo hilarious when I read it with a partner at school.We showed funny parts to most of our table, everyone loved the exploding granny bit. At school we had this story in miss Davis’s class (now know as Mrs Severn). everybody always faught over this cool book ! I think that is a very loved book. It might be the best book I have ever read. We have had this book for a few years now. I bought it when my daughter was little and my 2 yr old son now loves it. The wriggly granny is a huge favourite along with the exploding police car! There are so many different pages to flip and the stories are endless. My little brother used to get this book from the library. It is really good in the way that you can flip the pages to make the different pictures. I’d love to read it again and again.